Your search is over! The Smart Weigh SMS500 is the perfect match for what you have been seeking in a memory scale and its advanced step-on technology makes using a scale easier than ever before. Simply step on and receive your precise readings immediately. No set up is needed and you can be on your way to tracking your weight in no time. Why the SMS500? That’s easy, because it knows you! In addition to its ease of use, it features an incredible auto recognition functionality that utilizes memory to store and recall the information of up to eight user profiles. That’s right, eight users! This is the decisive solution for health, wellness tracking and weight loss, as it differentiates between measurements every time you step on this scale. It will tell you whether you have gained weight or lost it and its large LED display will light up with a color in accordance. Red if you’ve gained weight and green if you have lost weight, or seen no weight gain. Tracking your results could not be simpler. 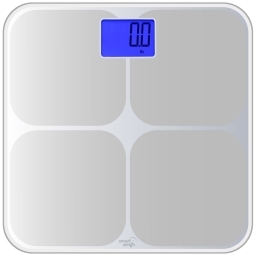 What sets Smart Weigh apart from everyone else is the advanced sensor technology featured in this scale. It’s our way of ensuring our scales are one of the most accurate on the market. We use precision mechanics and components that will alert you if your scale has been moved or needs to be recalibrated. This further enforces the benefit of the innovation and accuracy found within a Smart Weigh scale. The SMS500 records measurements in lbs. and oz. and has a very high capacity, 440 lbs.! It uses 4 AAA batteries and includes a two-year manufacturer’s warranty. I LOVE this scale. It truly works and it works fast and precisely every time. I have used scales before that change by a couple to several ounces every time you step on and off it. Not this one. I love the auto recognition feature, how it recalls my last weigh in, how it’s designed and its motivational aspect with the color changes! We, my daughter and I, put it to the test right out of the box. You can see in the video below. My daughter was on it first and it immediately read and registered her weight and recognized her as the first user. She stepped on again and it gave her the same reading as the first time and then I stepped on and it recognized me as a new user and registered my weight. When I stepped on a 2nd time I got the same results. We wanted to try to fool it a little more so she went and grabbed a big cup of water and stepped on the scale. It read her new weight then turned red and showed her previous weight and told her she gained 1.2 pounds. Then I did the same thing. It told me my new weight and then turned red and showed me my previous weight and told me I gained 1.2 pounds!! We have been very impressed with this scale and we took videos as we did it and I have them all compiled below showing you exactly what I just said. Besides working perfectly, I think it’s a beautifully designed scale and it is sleek and lightweight, 12.5 x 12.5 x 1 inches ; 4.4 pounds. It weighs up to . 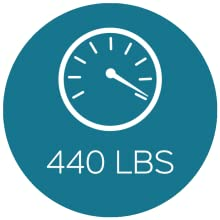 They are also on Facebook: https://www.facebook.com/smartweighscales and you can enter to win a scale right now on their website: http://www.smartweighscales.com/ They are giving away 10 scales!